Overtaxing AMERICA has hurt the Poor and Middle Class THE MOST. America’s middle class has been forgotten by a tax code written for and by special interest. Over the last 16 years, we have seen poverty on the rise with the middle class shrinking and wages stagnating. During that same time, the burden of taxes keeps rising on the top earners. Indeed, the top 25% of wage earners pay approximately 87% of all federal income taxes. Additionally, our corporations are subject to the highest tax rates in the world, approximately 38%, providing incentives for them to take their jobs and revenue to countries with lower tax rates. In our $17 Trillion-dollar economy, our local, state, and federal governments spend more than one in every three dollars. With the government keeping more of your money, there is less of it in the private economy and that is a major reason we have had very low GDP (gross domestic production) growth rates over the last decade and a half. Why are GDP growth rates so important to Middle America? 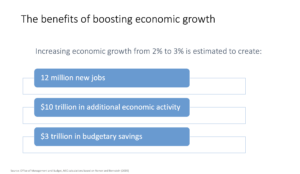 Because when GDP increases 1%-point, we could gain as many as 12 million new jobs. When the Reagan and Kennedy large scale tax reforms were enacted, economic growth rates exceeded 5%. If our current economy grew from 3% to 5%, think of how many more AMERICAN jobs could be added. 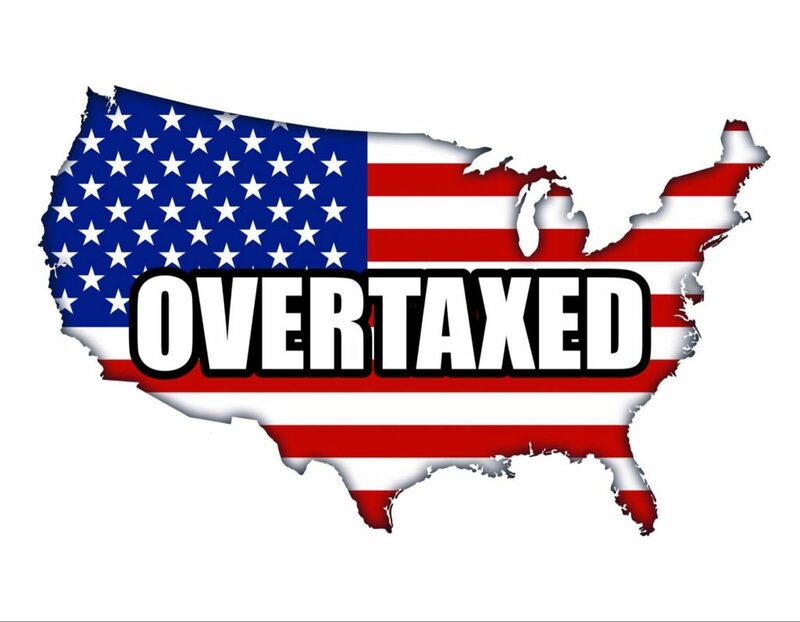 Through over taxation of the upper earners, the middle-class, and American corporations, our government has not just punished success, but that overburdening of taxation has led to more poverty, fewer jobs, stagnate wages and corporations moving good jobs overseas. Paradoxically, the way to increase tax revenues for the federal government is to reduce tax rates on personal income and capital gains. The Kennedy and Reagan tax reform proved that works. Our leaders should learn from history and remember that eighty percent of the stock market winners that drove the 1990’s technology boom were companies that had IPO’s in their prior eight years. Those were newly incorporated companies after the capital gains cuts of the 1980s. We can and should unleash another 20-year job and income boom for America! It’s time for the tax code to get a GREAT AMERICAN makeover, kicking special interests out of the code making it simple, fair, and easy. Special interest won’t get out easily; America must get behind tax reform, sign the White House tax reform petition and contact congress. If Tax reform prevails the forgotten men and women of America will no longer be forgotten. Life, Liberty and the pursuit of Happiness will be for all AMERICANS again, not just the connected. Wait until those Special Interests are clearly identified, the people deserve the truth. This is exactly what we need to get behind & support! Americans know that politicians lie to get elected. Now we know that politicians have lied far worse than suspected and a closed system of Oligarchs runs the USA. Our eyes are opened and We the People are very angry, very betrayed, much wiser, less tuned into the fake news and the propaganda personalities spewing lies and lies and lies many of which come straight from Moscow. Vote against all Democrats until there is not one left in 2018. In 2020 vote out all the RINOs.